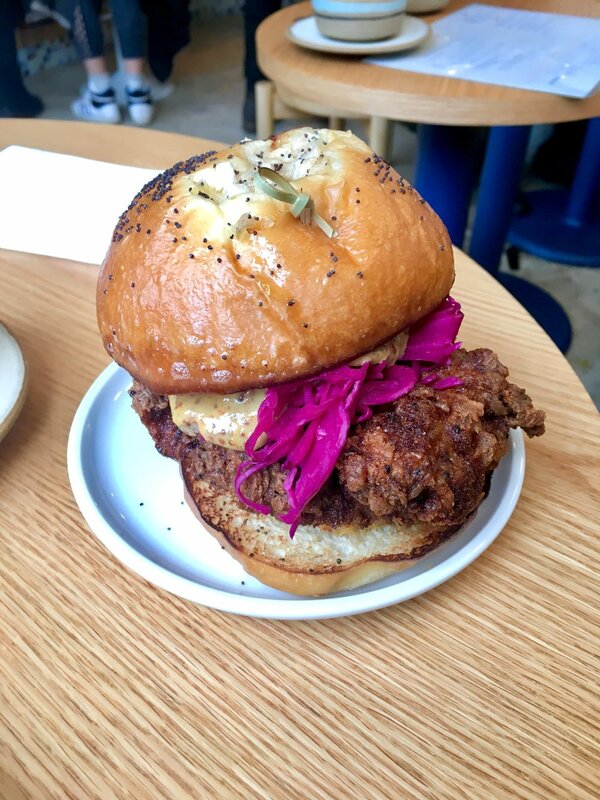 Okay, y'all- I'm going to go out on a limb and say I have a new favorite restaurant in Brooklyn. 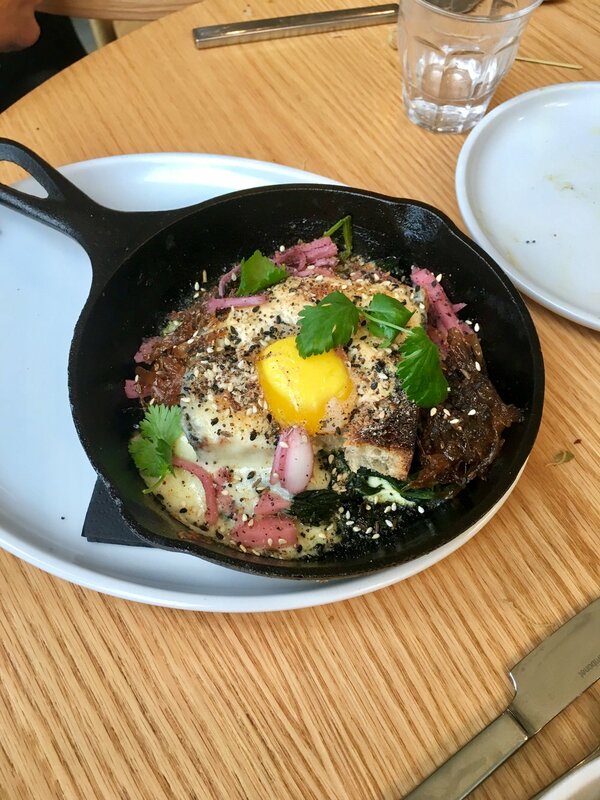 Golda Kitchen is an all-day New American café with the perfect touch of Middle Eastern flavors that serves some seriously tasty breakfast and lunch fare. 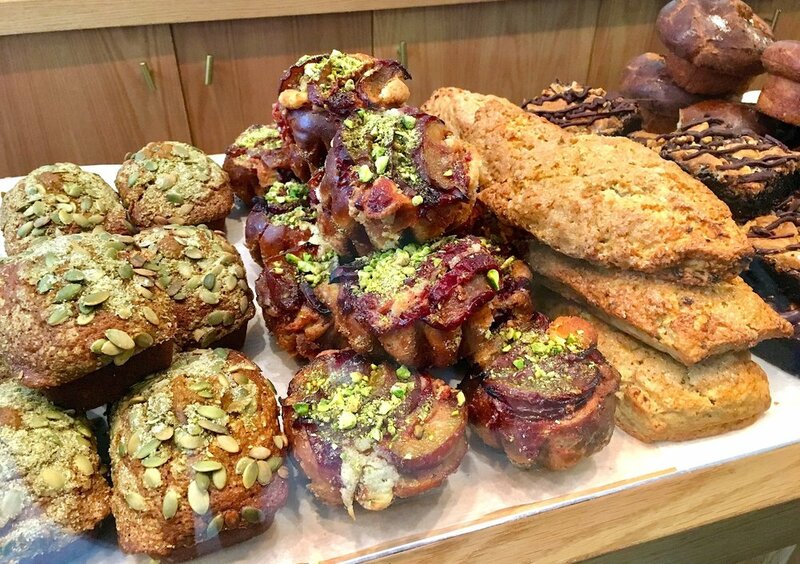 Local, seasonal ingredients truly shine here, but one of major highlights for me is the beautiful case of freshly baked pastries! There are tons on offer each day, and the flavor combinations are equally unique and delicious. 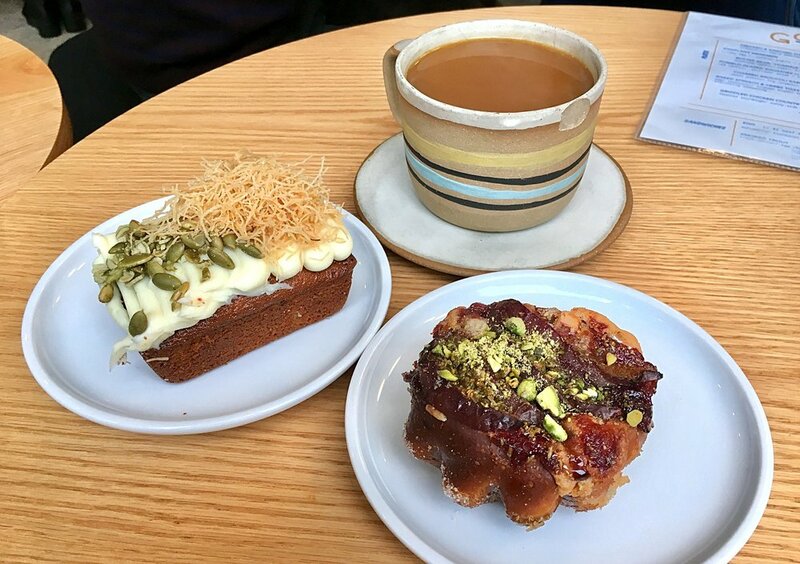 I wanted to try one of each on my recent visit, but managed to narrow it down to a pumpkin olive oil cake with labne frosting and a plum-soaked brioche with pistachios. Glory, were they scrumptious! Our savory dishes didn't disappoint either, and I loved my charred broccoli rabe plate with sweet potato, figs & soft-boiled egg. The sandwiches are pretty impressive as well, as you can see from the photos below. Talk about a mouthful! 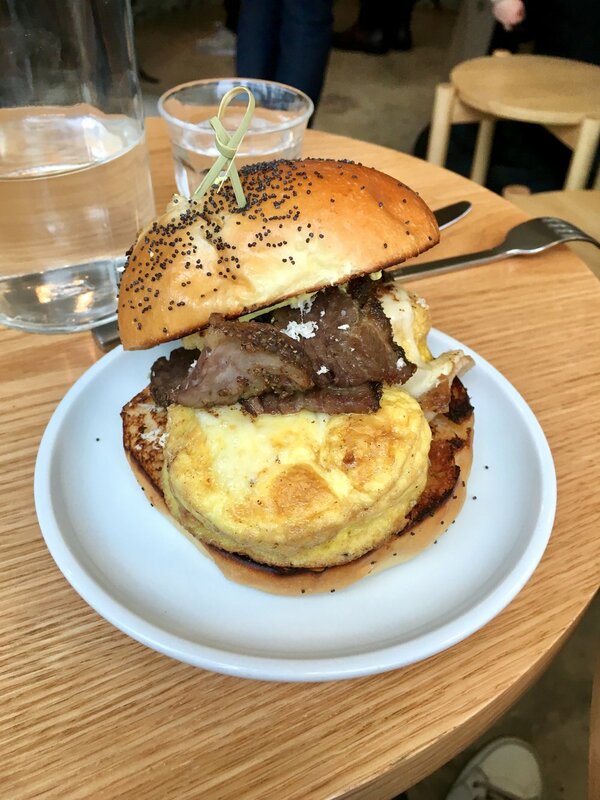 Click through the photos to read more about our meal, as I honestly cannot say enough good things about Golda. Really dying to try some of their other goodies as well- how good does hot chocolate with malted tahini marshmallows sound?! Or romanesco & kale moussaka with egg & flax-pinenut streusel?? Or finally, how about persimmon & gingerbread cake with rye flour, whey caramel & labne?! I'm literally obsessed with all these flavor combinations, and cannot wait to go back to Golda again soon!